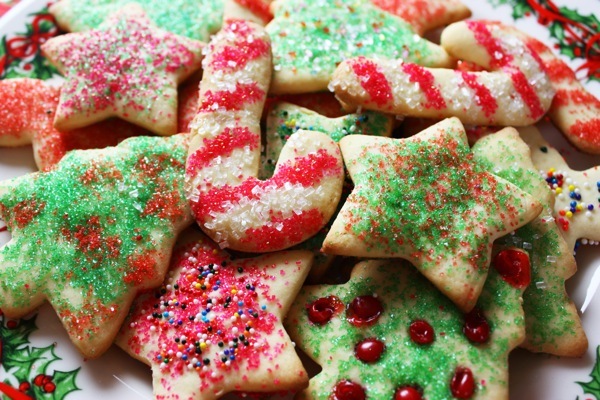 My less-butter, less-sugar Christmas cookies just got even healthier. I decided to try making them with extra-light olive oil and they turned out great. This time I rolled the dough and cut out the holiday shapes but I will say that a cookie press is a great invention! But when you cut them out, it’s a lot more fun decorating. I like my candy canes the best. This recipe is exactly the same as the one already posted but I used extra-light olive oil instead of canola oil.